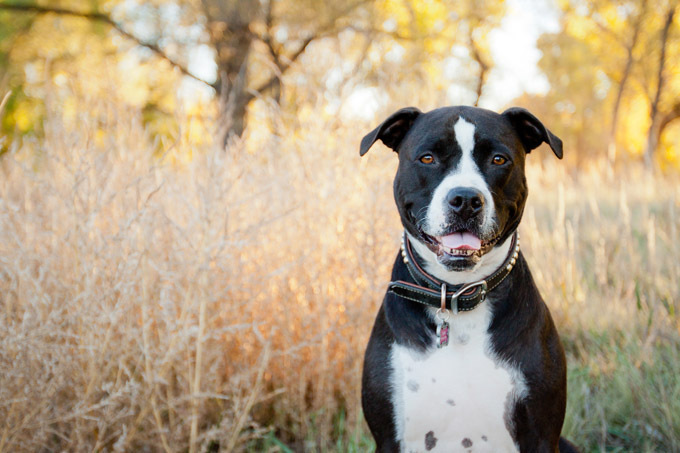 Summary: National Pitbull Awareness Month is an important time for pit bulls. It allows people to share all the positivity surrounding pit bulls. If you aren’t already aware, October is National Pit Bull Awareness Month. How are you going to celebrate the lives of these adorable little guys? Here are some ways that you can show some love to a media-bashed breed that’s continuously picked apart by society. Make the month of October the month where you volunteer at that local shelter you’ve always passed through. These dogs need the love of a human and being locked up in a cage throughout the day aren’t helping their cause. Because most shelters are often underfunded, they may not be looking to hire employees but are almost always welcoming volunteers with open arms. You can also donate any old blankets, crates, or carriers to your local rescue group or organization. Remember, even the smallest donation can go a long way – you could be helping these dogs live in a much more peaceful environment. If you’ve been harping on adoption but haven’t decided on the right time, October is the month to do it! There are tons of bluenose pitbull puppies for sale that are just waiting for you to come and pick them up. Whether you’re looking for a companion or a loveable friend to greet you morning, afternoon, and night, a pitbull is the right choice. They’re great with children – contrary to belief – love to play, and are loyal to the core. Just because of their historic past where they were used as fighting dogs, the media to no end is skewing pit bulls. Put a stop to this and give a pit bull a new home. Iron King Kennels is an established organization that can help you find the right pit bull for your home. As you already know, social media plays a major role in reputation management. By dedicating your social media status updates to promoting positive pit bull imagery, videos, and messages, you’re helping shed light on another side of pit bulls. This can be anything from asking others to share your message or even posting videos on some of the most adorable pit bull videos on the web. Remember, one small impression could change lives of millions. And, if your social media post becomes viral, you could potentially be saving the lives of pit bulls and increasing the overall adoption rate. Never believe that you can’t make a difference in the world. Most pet owners would prefer going with a breed that has less of an uncertain reputation about them. By educating people on how to treat all animals with kindness and respect, you’ll showcase how misinformation is being spread in news and other media about pit bulls. Don’t be afraid to point out others when they are judging a book by its cover. Most of the time, the skeptics have never spent a day alone with a pit bull, and are just accepting of the predisposed notion of violence and anger.